So how do you find this specific person's name? Just three more clicks according to Green Leads' BDR Mira. Click on the Title, which brings up the full profile. 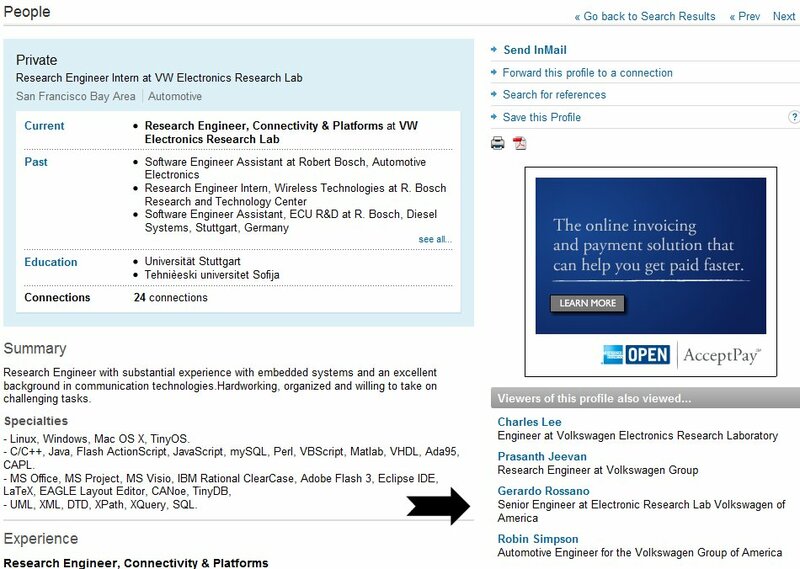 Remember the Title, and look to the right where it says Viewers of this profile also viewed... Once there, find a contact with a similar title/company -- In this case, Gerardo (hard to see). 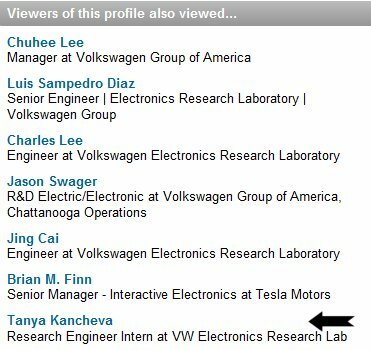 Now while remembering the title/company of the prospect you want "Research Engineer Intern at VW Electronics Research Lab", click on the name of the person with the most similar title/company that we found above, Gerardo. Up pops Gerardo's profile, now look to the right again, and find a contact with a similar title/company to Gerardo in the "also viewed" section -- this is most likely your prospect. So Tanya, expect my call. If you have any LinkedIn tips, or Lead Gen Tips in general, please share them.